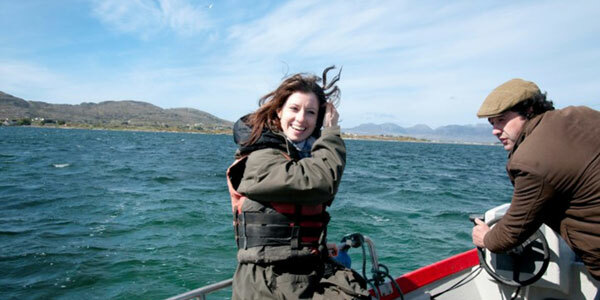 Connemara offers wonderful coastline cycling and stunning countryside cycling tours, which allows you to experience the joy of the natural Galway landscape. Whether you simply want a leisurely, gentle cycle tour or are an experienced cyclist looking for an active cycling challenge, we can help you to arrange your cycling trip so that there’s no surprises! For those travelling with their own bikes we have a secure lock up and a work stand for your use. Bicycle hire is also available. You can follow suggested routes or hire bikes and discover the beautiful scenery for yourself – the cycling distance will wholly depend on your own choice and the detours you may want to take; we can advise you on distances and cycle routes to suit your plans for the day (or the entire holiday). 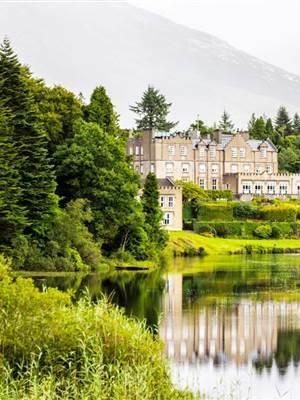 This makes Ballynahinch Castle Hotel an ideal base for weekend activity breaks in Ireland. 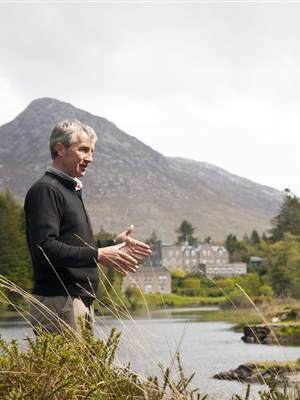 The completed 6km section of the Connemara Greenway located just off the grounds of the Estate which is ideal for those who wish for an easy route away from the main roads. For the more adventurous why not take on the magnificent Derroura Mountain Bike Trail. The Derroura Mountain Bike Trail is a 14 km long track with wonderful views north into the Maam valley and West to the Twelve Bens. This trail offers you some incredible mountain biking in some of the most spectacular scenery in Connemara. You will face long climbs and thrilling descents with great views overlooking all of Lough Corrib from the half-way point of the trails. We can arrange your mountain bike hire. And of course you will have the luxury of returning to the Castle to a warm welcome, a cool drink and a delicious meal each evening.